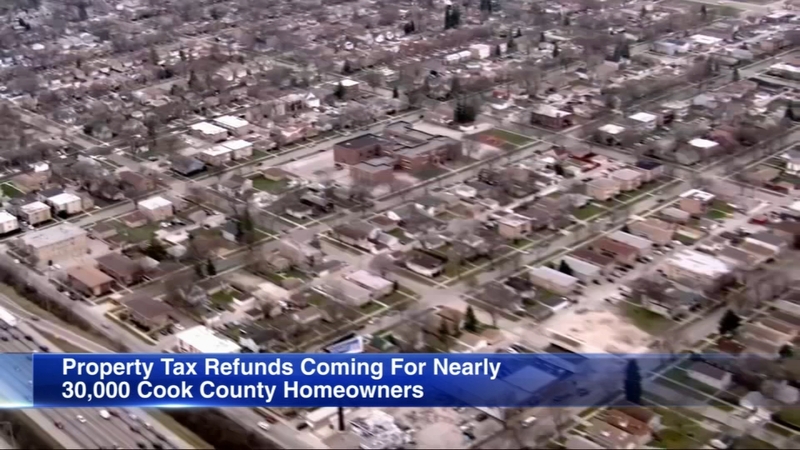 The Cook County Treasurer's Office is sending a total of $ 8.3 million in tax refunds to nearly 30,000 homeowners overpaid since 2013, the office announced Monday. Qualified homeowners will automatically receive reimbursement thanks to new technology. Treasurer Maria Pappas said. "We have taken steps in the past to simplify the reimbursement process," said Pappas. "Now we are trying to eliminate the application altogether." Some homeowners paid more than what was due, others overpaid, because property taxes were reduced after the bill was paid.